Update April 20, 2016: The grim offline period facing Dark Souls Prepare to Die Edition players is finally at an end. After over a week of being relegated to the offline realms, players can now hop in and pester or help other adventurers. Bandai Namco have yet to release an official word on what the problem was. Original article:If playing through Dark Souls 3 has given you the itch to get back into FromSoftware’s original PC Souls title, you best be prepared to git gud in solo because the servers are no longer functioning. 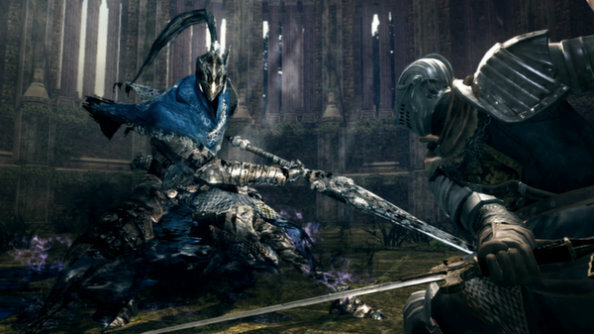 It’s a shame, as Dark Souls certainly deserves its place in our list of PC’s best RPGs. According to reports on Reddit, co-op, invasions and even Dark Souls’ cross-dimensional messaging system haven’t been working since April 11, which is just before Dark Souls 3 released, leading to speculation that the servers have been turned off to make room for the sequel. Other than a tweet from a community manager, publishers Bandai Namco have been silent on the issue. RE: Dark Souls PTDE Matchmaking. Not sure why it's being funky. Have made dev team aware – Will share any updates. Hopefully it’s just a technical issue, as the community manager’s tweet suggests, as it would be a huge shame if the servers had been killed. Dark Souls still enjoys a healthy community considering its age, with6,564 players at the time of writing.